Easter is the best candy holiday after Halloween, and I won't listen to anyone disagrees with me. Yes, I know it's not about the candy...but it certainly doesn't hurt. 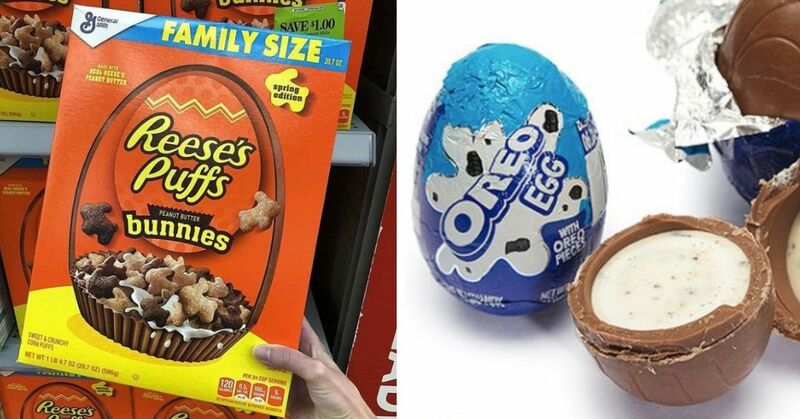 We're all used to the classic chocolate eggs and bunnies, but as the years go on, the candy selection just gets better and better. 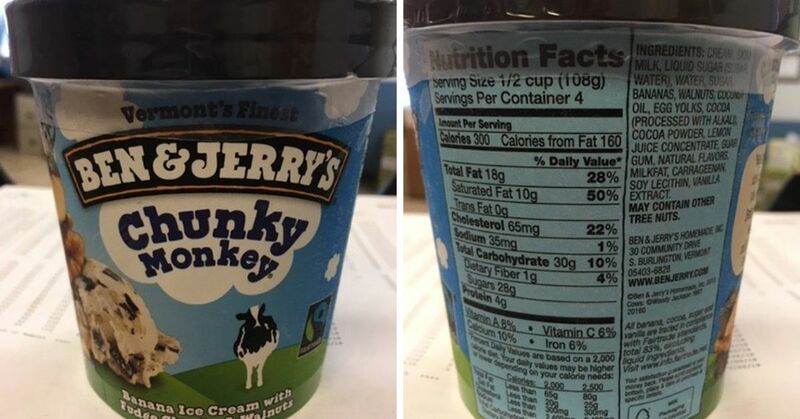 Is it still a lot of chocolate? Yes. But it's so much more than that. 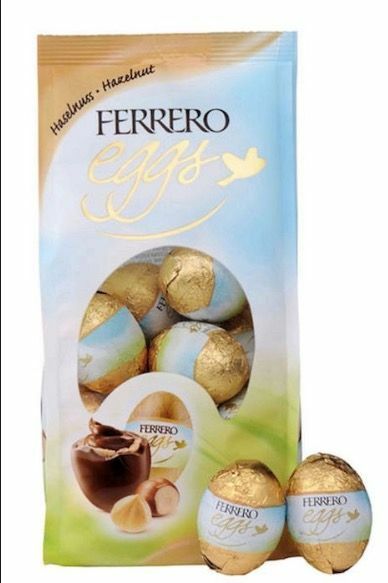 These Easter treats are mandatory for your basket this year. I always forget how much I love carrot cake, but these little treats are here to remind me. 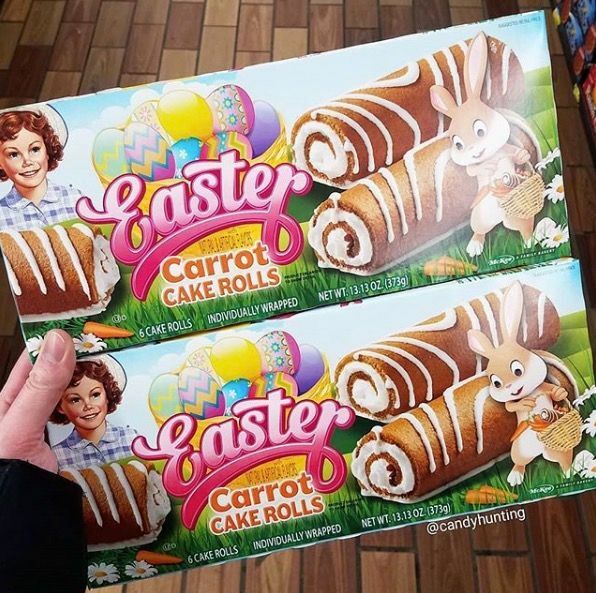 To be fair, I would eat these the entire year round, not just on Easter. Although, at least the holiday lets me do it with a little less guilt. 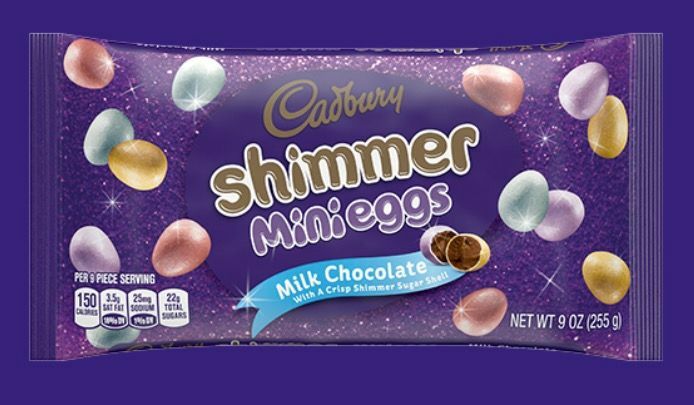 Mini Eggs are already delicious, but White Chocolate Mini Eggs? 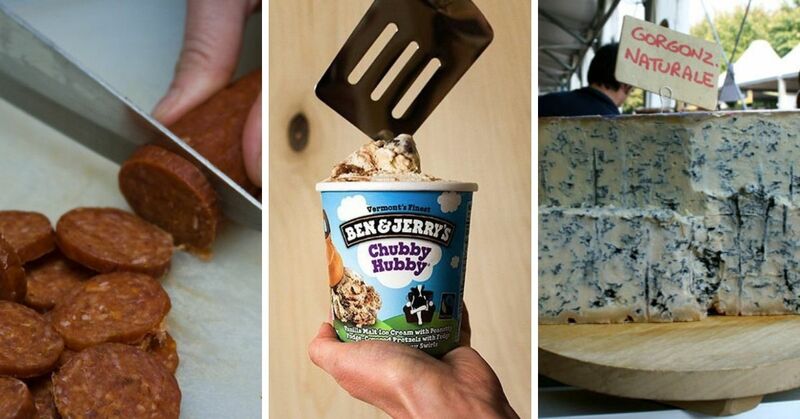 Now that's going to be next level delicious. It's a little concerning that they're described as "white candy," but let's be honest...I'll still eat them. 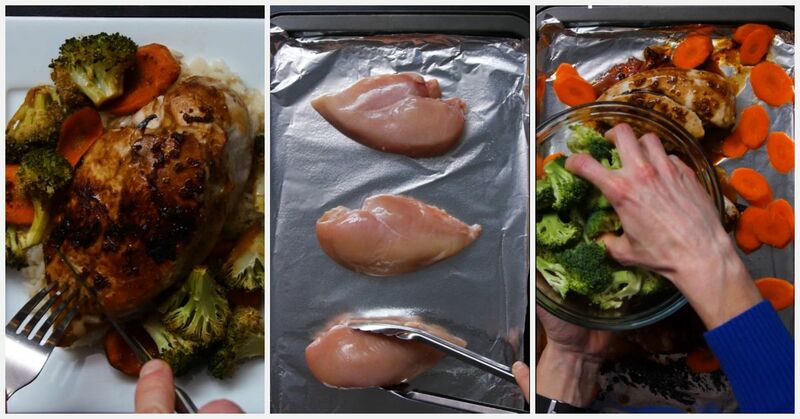 This is borderline genius. 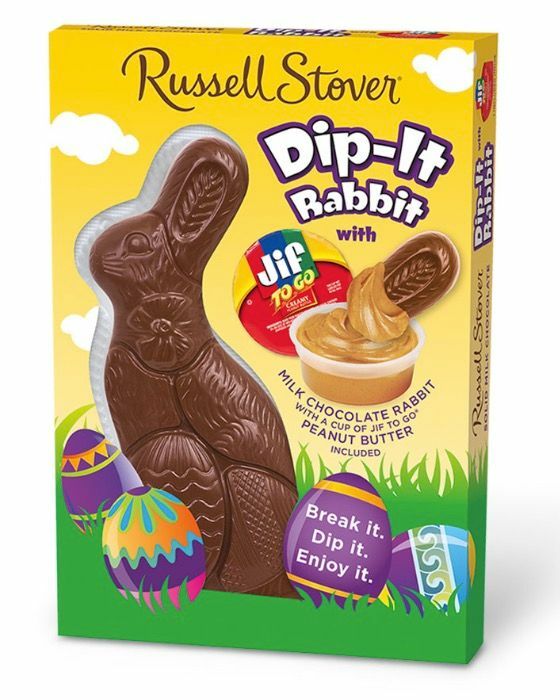 A milk chocolate bunny with a tiny tub of peanut butter to dip it in? Sign me up every day of the week, and twice on Sundays. Carrot cake seems to be the theme this year, and there's absolutely nothing wrong with that. These tiny white chocolate bites have graham bits in them, and it doesn't get much better than that. These were my mom's favorite candy, and when I absolutely can tell why. I don't love that they're a little smaller than the usual Ferrero Rocher, but I guess that means I'll just have to eat more. Oh well. 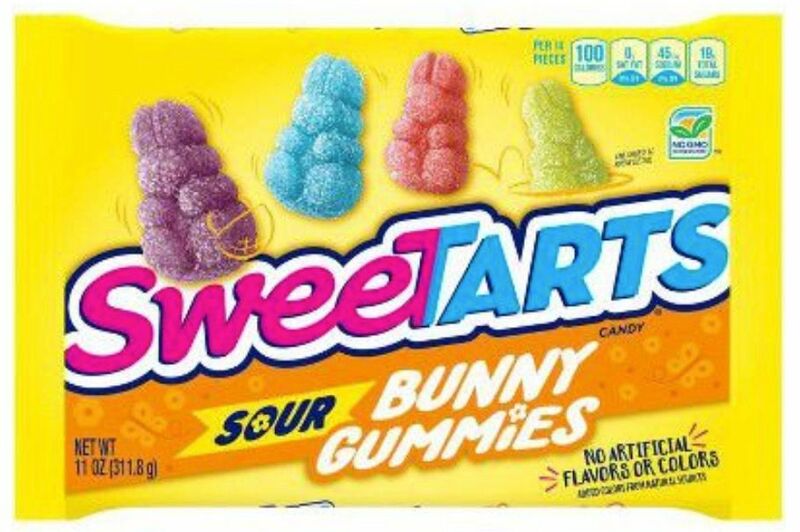 Moving away from the chocolate a bit, these gummies are a must-have in your Easter basket. 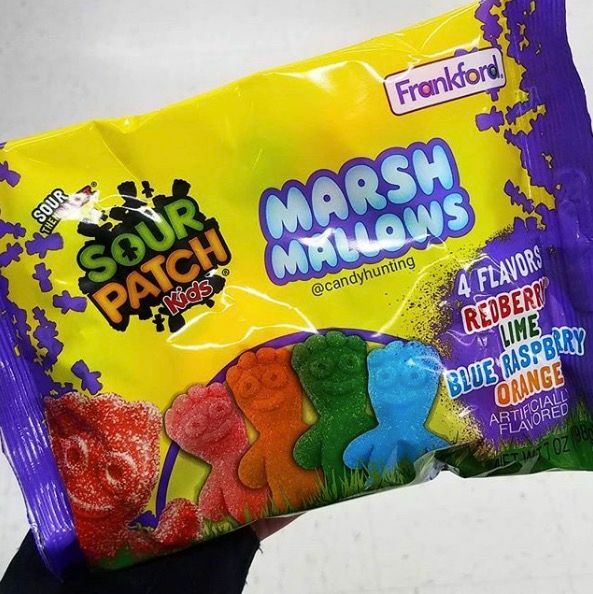 Sweetarts are going to turn sour, and you're most likely going to be very happy about it. Oreos are always a great choice. Regardless of the holiday, regardless of the flavor, and regardless of the color. 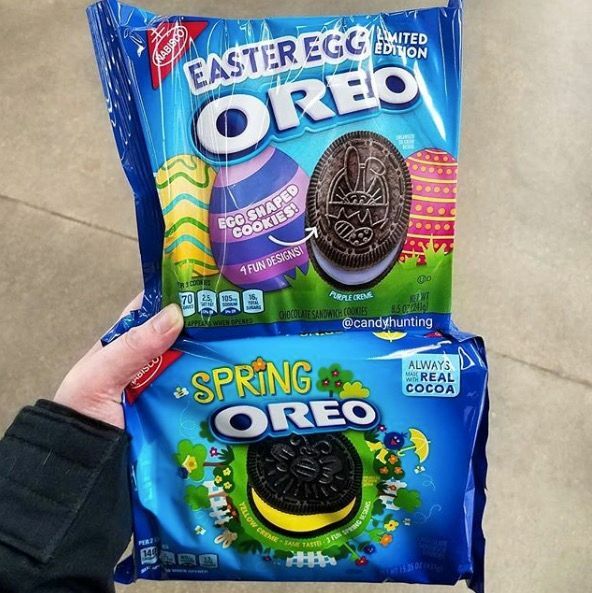 These Spring Oreos with yellow cream and Easter Egg-shaped cookies are bound to make your holiday a little better. 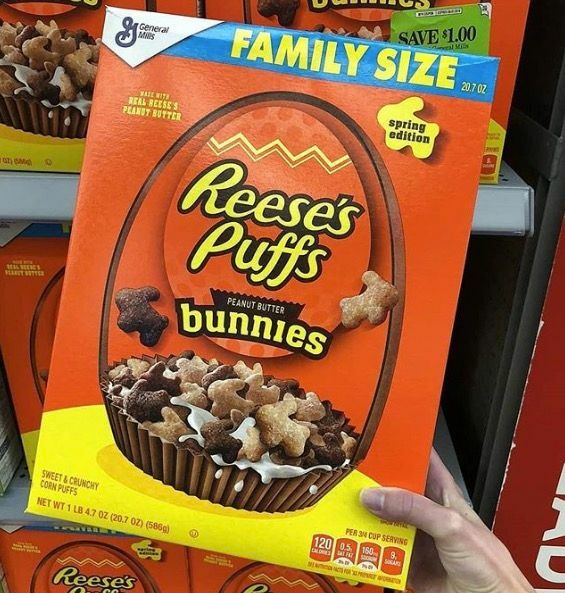 Admittedly, these are basically just Reese's cups in the shape of eggs, but there is nothing wrong with that. 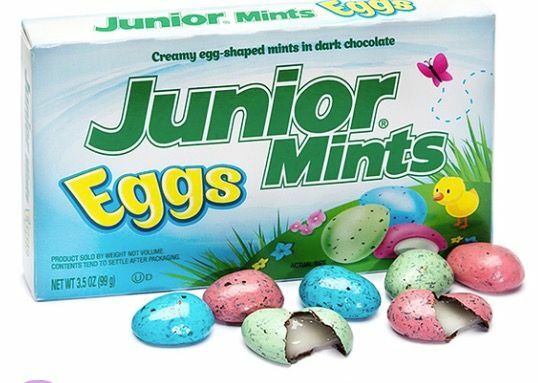 Junior Mints are a movie theater classic, and now they're about to be your favorite Easter classic too. 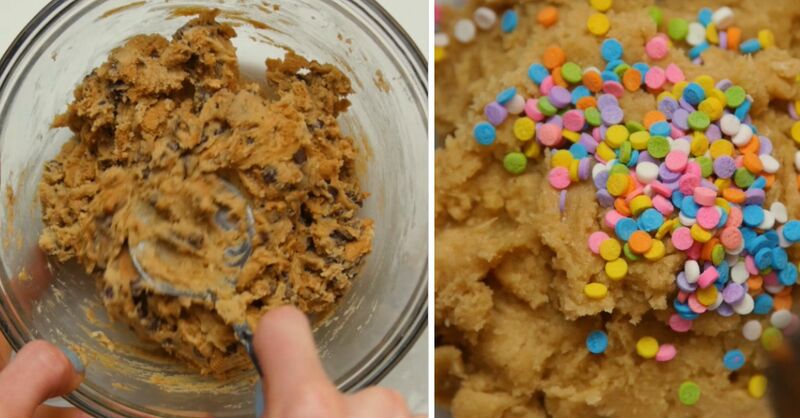 They kind of look a little more like pebbles, but still tasty. Candy for breakfast? I'm there. These little bunnies are very festive and are a perfect Easter treat. These ones I'm on the fence about, but I'm down for trying anything. 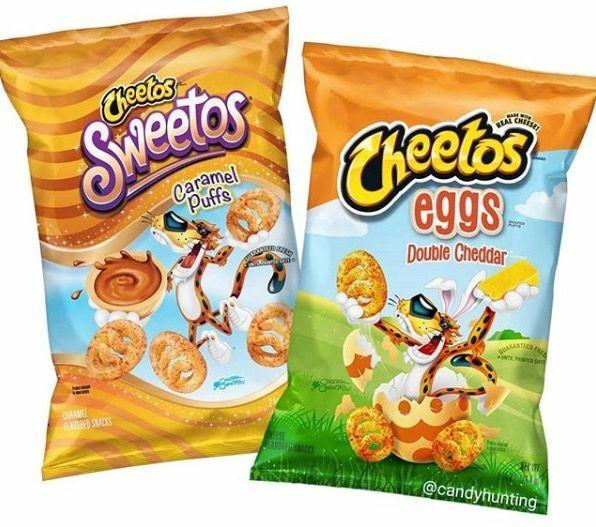 I think I would prefer the cheese ones and not the caramel ones, though. 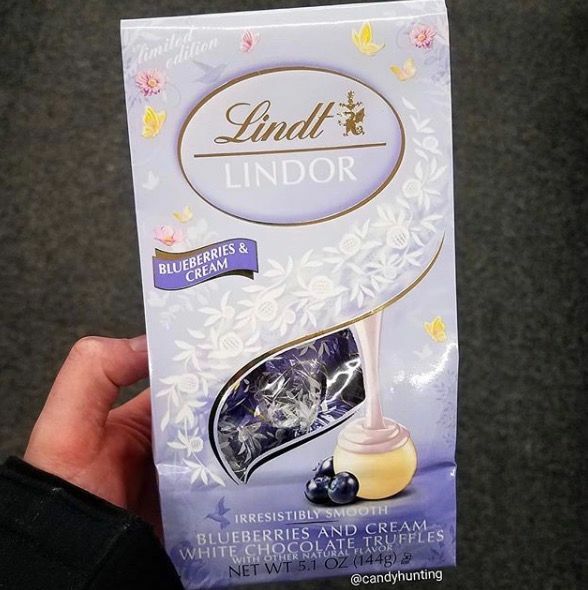 I love a good Lindor chocolate, and these sound extremely intriguing. There's the potential that they'll end up being too sweet with the fruit and white chocolate, but it'll be a decadent little bite. My best friend loves any and all things sour, so these are on the list for her. Personally, I'll be skipping over them. Yes. More Mini Eggs. Always. 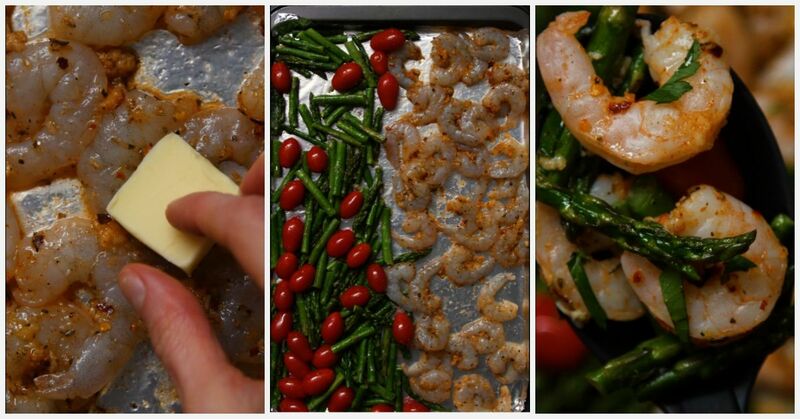 These ones are shiny, and that's really the only thing that makes them special. But you're a fool if you don't think I'm eating them anyway. 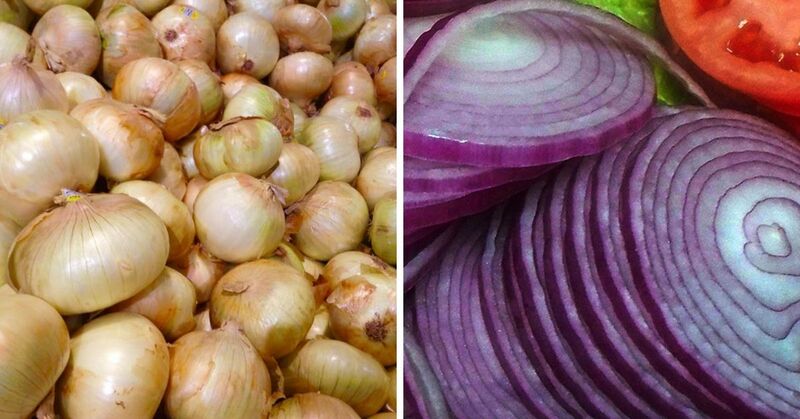 These may not be Easter specific, but a little fruitiness goes a long way! 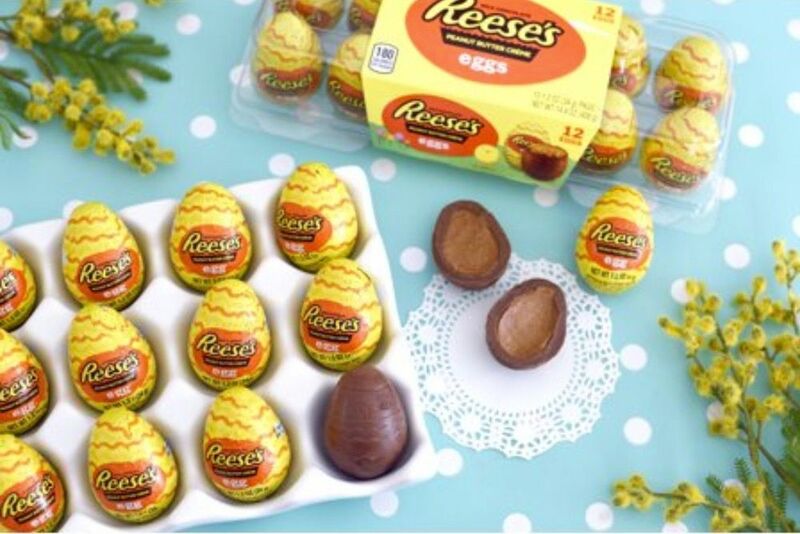 We already had Reese's eggs, but these ones are even better. How, you ask? 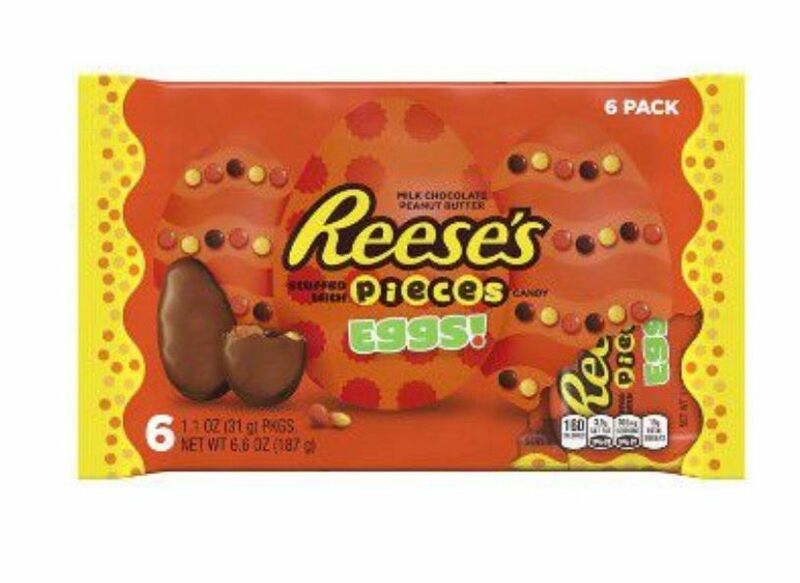 Because they have Reese's Pieces inside them. It's a tiny little miracle. 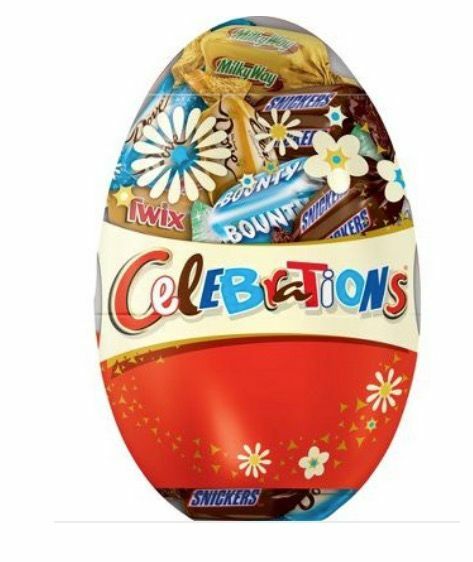 Alright, so these candies aren't necessarily Easter-centric, but the variety that comes in this egg is like a mini Halloween. It's perfect. 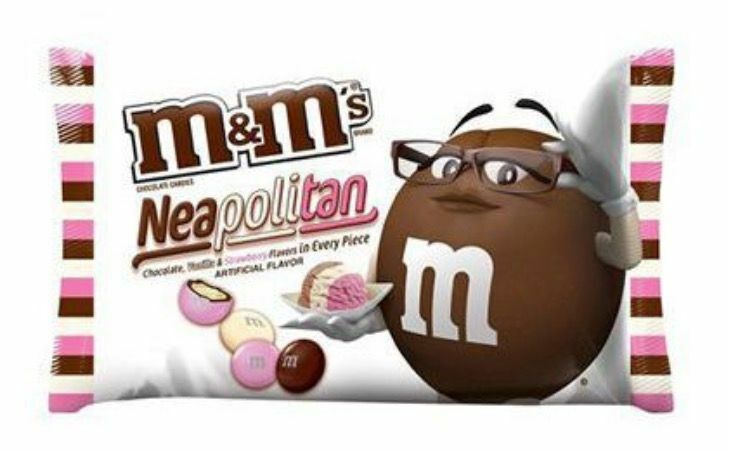 These aren't new, but they are absolutely delicious. 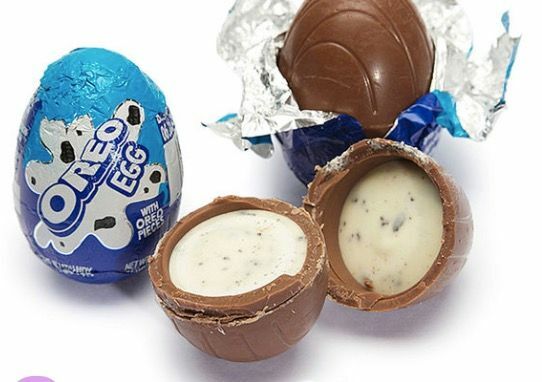 A chocolate egg stuffed with cookies 'n' creme filling is what I call bliss. 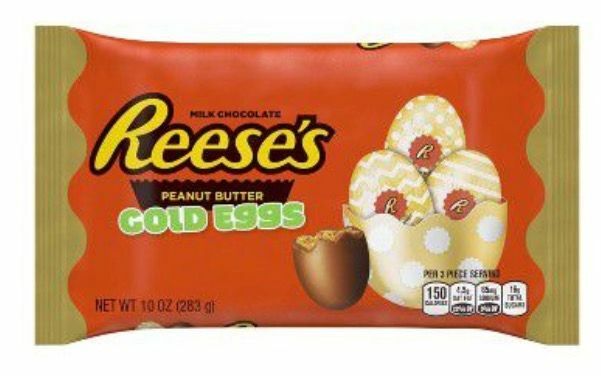 If you thought Reese's had a monopoly on chocolate and peanut butter, you were wrong. 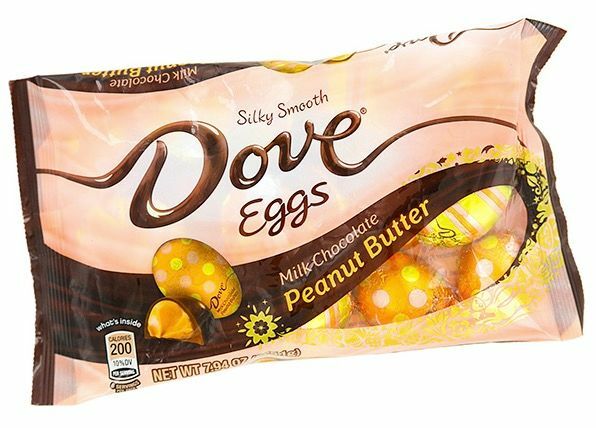 Dove has these little eggs, and they're giving Reese's a run for their money. 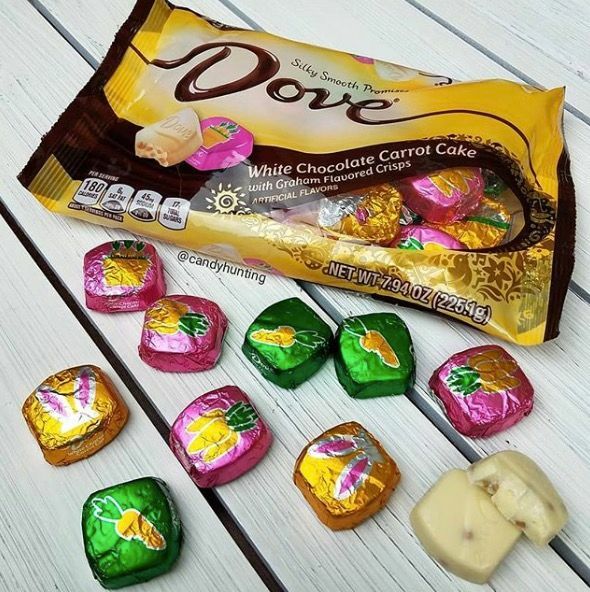 Of course, Dove isn't totally taking over. Reese's is still the king when it comes to peanut butter candy. 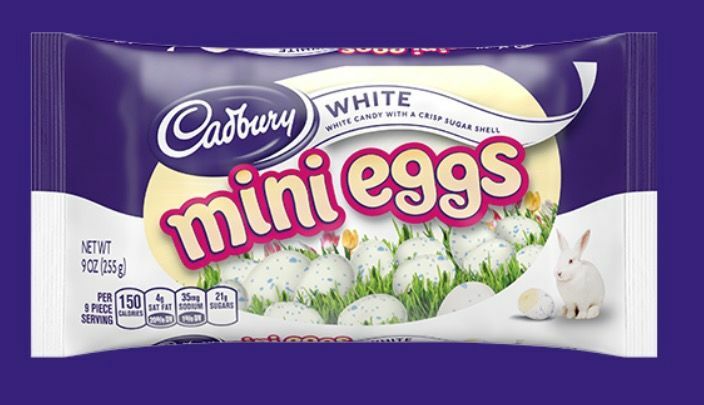 These creme eggs even come in an egg carton, so you can pretend they're healthy! 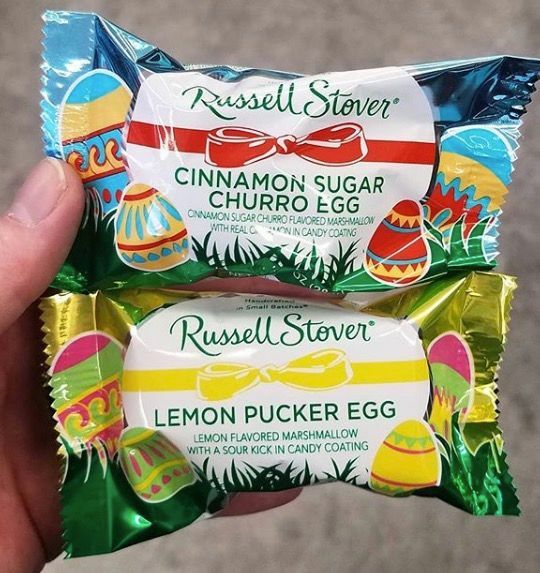 Russell Stover rarely disappoints, and with these new marshmallow eggs, they've once again hit a home run! 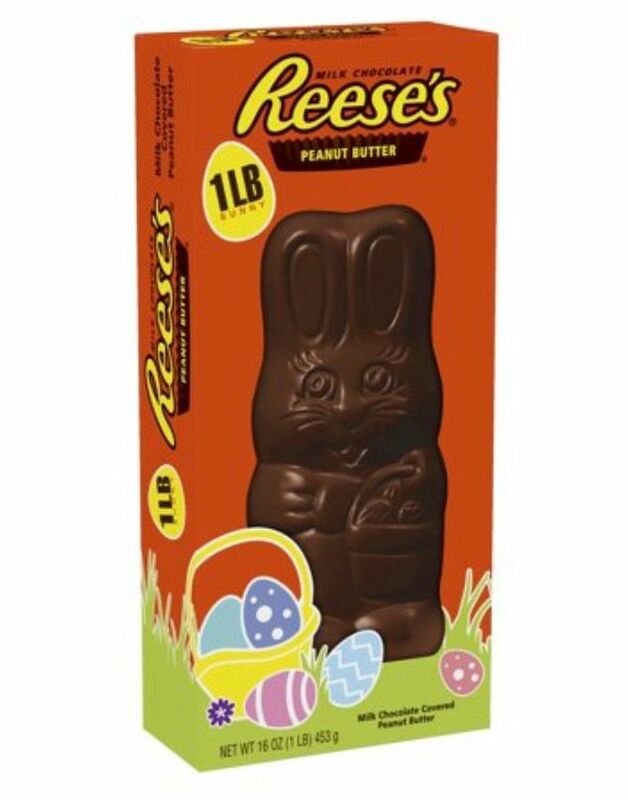 A 1lb Reese's peanut butter bunny. Need I say more? Which one do you want the most?